Pisces is the twelfth astrological sign in the zodiac, which spans the zodiac between the 330th and 360th degree of celestial longitude. In Sidereal astrology, the sun currently transits the constellation of Scorpio from March 8th to 10th to April 13th . Characteristics of Zodiac sign- Pisces. 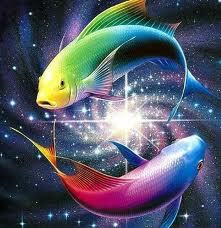 Pisces is a Female, Dual and Watery sign. It’s a sign of Saints. Being a female sign, makes the person mild, affectionate, sympathetic, helping in nature . Being a dual sign, makes the person indecisive .They get influenced by people and can have a conflict between religion and duties towards home. Being watery, makes them emotional, religious, duty conscious and timid. Lord of Pisces is Jupiter makes them intelligent, wise, religious and being 12th house of nature zodiac, the desire for enlightenment ( Moksh) is very strong. They are givers and the have tendency to give and are affected by sorrow and misery around them, leading to financial loss. 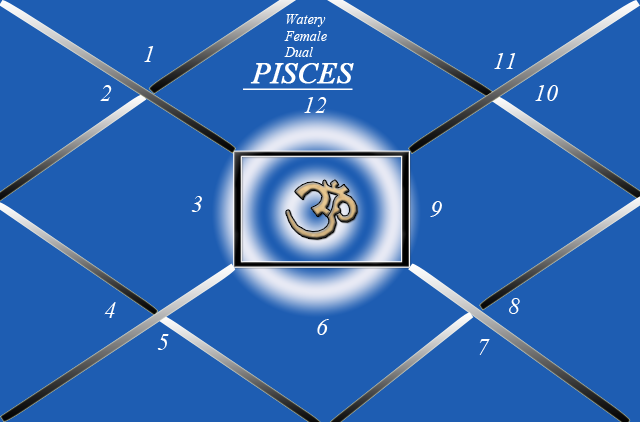 In a chart, whose ascendant is Pisces or Moon is in Pisces or Jupiter is in Pisces or Cancer where it is exalted, the above qualities would be more prominent .